Elektrik Kalimba is a funky fusion of African and American, designed to sound like the kind of electric piano a Zulu teenager might hotrod up when he’d had enough of tribal rain dances and wanted to get his groove on. 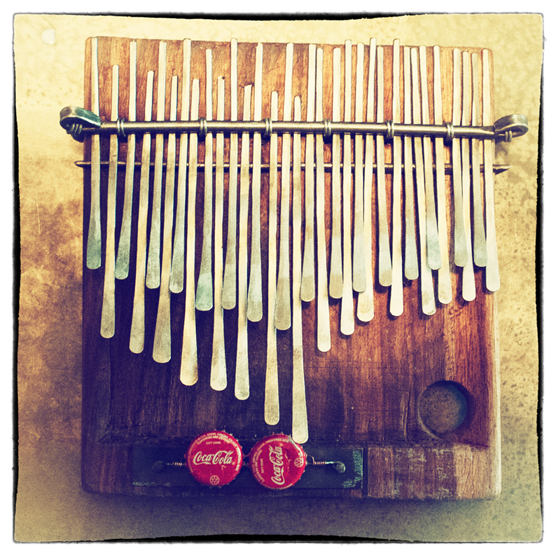 It started life as a 3-octave electric kalimba – or mbira, or karimba, or marimba; basically, an African folk thumb piano. Our kalimba was electric from the start, in that it was fitted with a pickup for amplification; but really, it was that row of thumb-plucked tines that set us thinking. Tines; electric pickups; this thing wants to be a Rhodes, right? 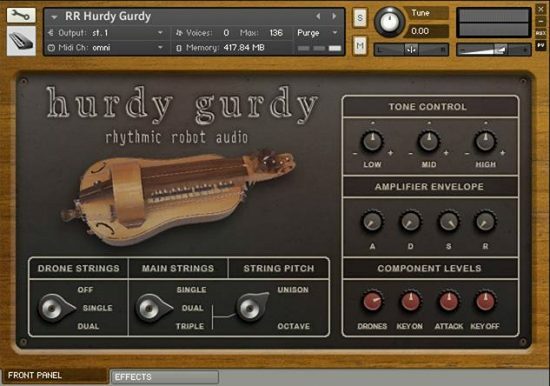 We then grafted the kalimba’s attack to the sustain of a conventional American electric piano, sonically welding the two instruments together into a new hybrid – a kind of Roots Rhodes. We put in extra controls to add even more gritty click to the attack, and optional key-release noises; we gave it overdrive in the traditional EP mould; and we wrapped the whole thing in a tolex kaftan. The result is Elektrik Kalimba: not exactly an EP, not exactly a folk instrument. 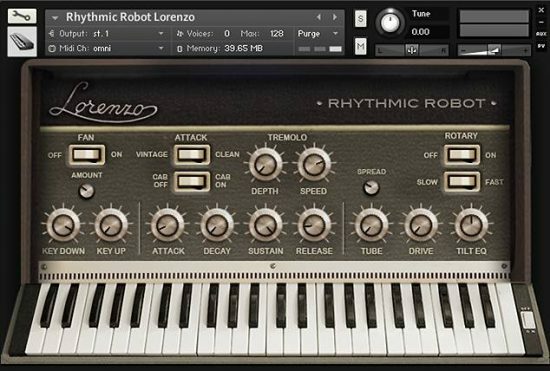 It’s the kind of keyboard sound that can give a track a subtle touch of organic individualism, or a full-on whack of chunky funky attitude, depending on where you set the dials. At one end of its spectrum it sounds like a rattly, last-legs kind of Rhodes, full of mellow dust and dying electrics; at the other, it can go almost into steel drum territory. 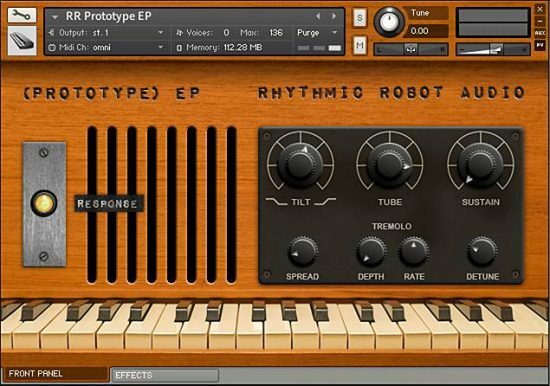 In between there are handfuls of unique, unusual keyboard sounds that can fuse the background of a track together or take centre stage. All with a rootsy African influence that just sounds different. 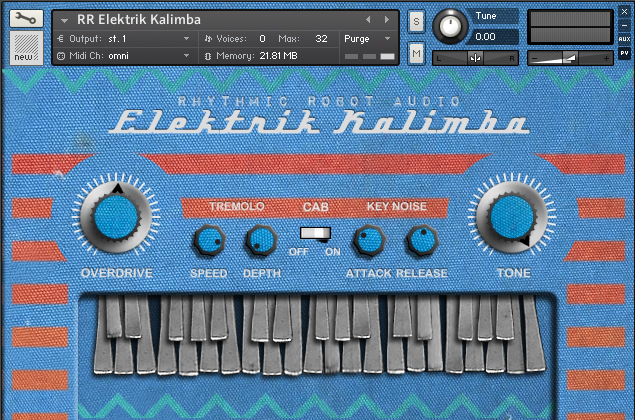 Elektrik Kalimba: Rock the casbah! Wow! Once again, such a cool instrument. I love unique sounds that are just right for a track or better yet inspire a new song. Very cool!!! Overdriven and with tremolo, this thing sounds wonderful. This is the only thing that sounds like this! 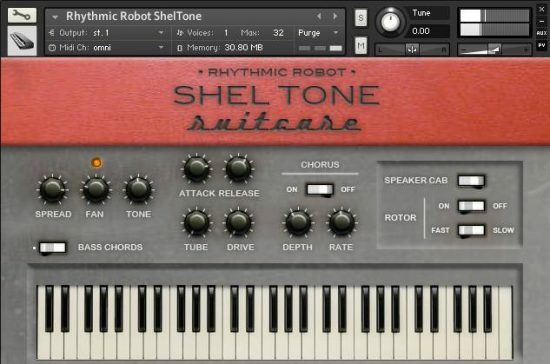 Rhythmic Robot make toying around with ideas on a computer 10 times more vibey, and therefore 10 times more fun. Cool cool cool instrument. Really more Electric Piano-sounding than Kalimba-sounding, but has enough kalimba grit and key noise to make it a unique, fantastic sound. So happy to have found this.